Oceans cover over 70% of our planet and have an incredible impact on our lives. This week we are going to delve into ocean science with some new books and hands-on activities for children. This will be a landing page with links to all the related posts as they go up this week. Monday - Book review for a new children's nonfiction book, Sylvia Earle: Ocean Explorer by Dennis Fertig. Hope you enjoy having a little dip into ocean science. The Monterey Bay Aquarium has ocean science curricula organized by grade level and by subject, as well as a 199 page Sea Searcher activity booklet available for download, and fun games and activities to do. 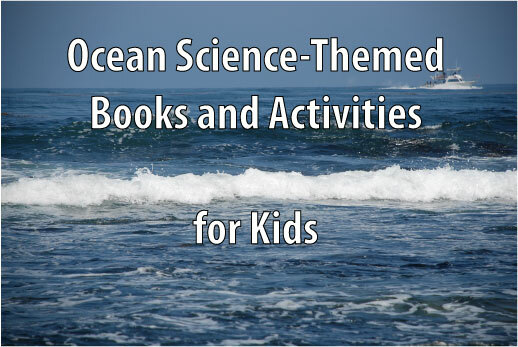 Do you have any ocean science books or activities to share? Let us know in the comments and we'll pin them to our Ocean Science Pinterest board. 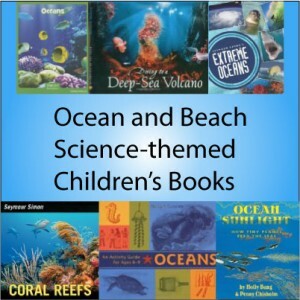 We also have a growing list of ocean and beach science-themed children's books at our sister blog, Science Books for Kids.